They are at it again. Schools and embassies close for fear of murder and arson. French Muhammad cartoons have brough criminals and thugs on to the streets but many are only concerned that these criminals might be offended rather than the fact that they are criminals who should not be tolerated in any society. Freedom of speech must be protected. I am offended by the ignorant prejudices of those many muslim which manifests itself in antisemitism , homophobia and contempt for women and democracy. 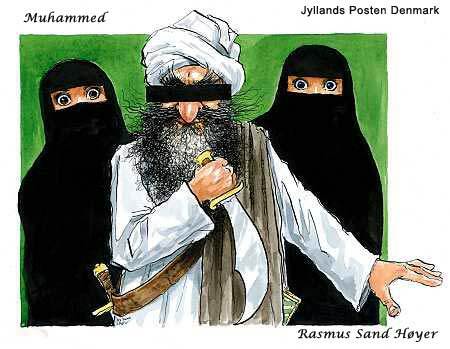 Enough of this barbarism…..defend free speech.